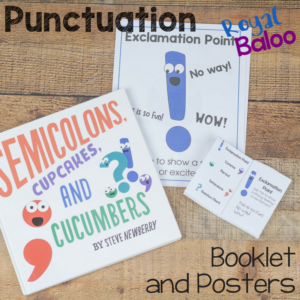 These punctuation small books and posters are great for kids who need a gentle reminder on what marks to use! Plus they are fun and colorful.Punctuation is not my best friend. And my kids aren’t super into punctuation either. But I know punctuation is important and that they will have to learn it eventually. So I was pretty excited to see this book that makes punctuation a lot more interesting. And funny, too! If you’re looking for a fun book that introduces punctuation but is also funny, entertaining, and brings the punctuation to life, then you have found the right book. Each mark has its own personality (my favorite is Question Mark) which is great. But the best part is that each character only speaks in sentences using its own punctuation. 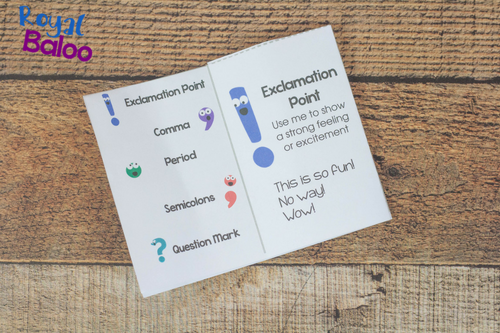 Exclamation points sentences always end with an exclamation point! Question mark always asks questions. And so on. 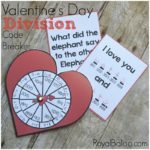 And at the end, they review the rules of each punctuation with some more funny examples. My kids devoured the book so I figured there was an opening for learning some punctuation. And how right I was. They were so excited to see the characters again that they didn’t even care that they were learning. If you’ve never made a small book before, follow the directions from 3 Dinosaurs! The posters were meant to be larger reminders and fun decorations. We’re trying to add more color to our walls! The posters have a lot of the same information as the small book. They have examples and descriptions of each. 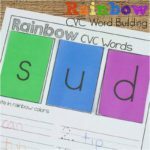 I wanted to make them as similar as possible – repetition is powerful! 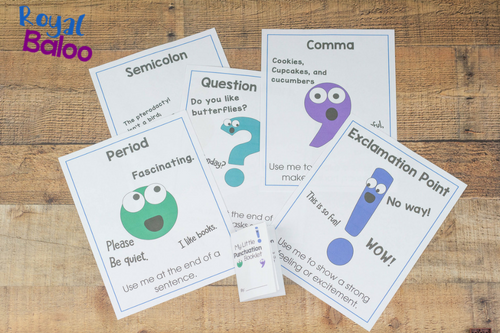 Grab the Punctuation Booklet and Posters here!